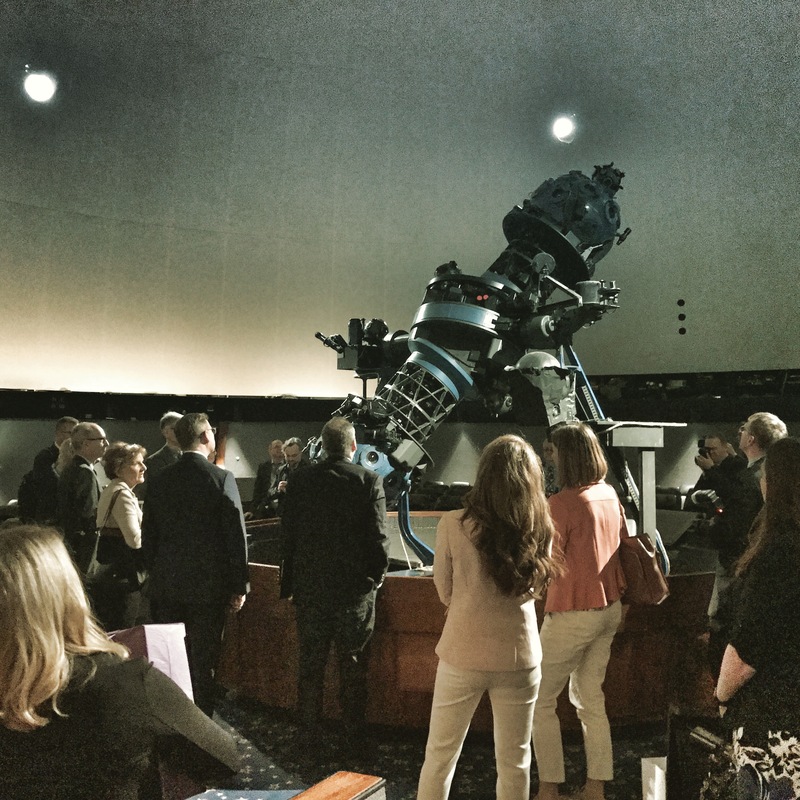 The ‘sister cities’ of Jena and Rochester (USA) have a lot in common: in Jena, as in Rochester, an optics industry has developed since the 19th century together with a strong supplier network. While in Jena the collaboration between Carl Zeiss and Ernst Abbe significantly furthered optics research, soon after in Rochester, local industrialists George Eastman (Eastman Kodak) and Edward Bausch (Bausch & Lomb) founded an optics institute at the university. In fact, Eastman visited Jena at least once in 1911, and must have recognized the city as the center of Europe’s optics industry. Since then there have been many changes. 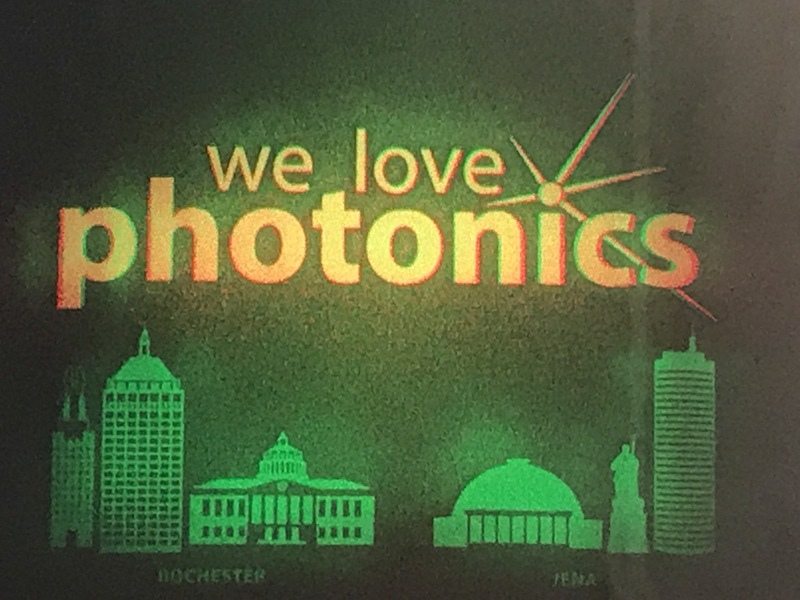 Today, both regions are enormously strong locations for the optics and photonics industry and research. For more articles about the relationship development search here. The Fraunhofer Institute is recognized as the leading public/privately-funded organization for applied research in Europe (and the West) with an annual budget exceeding $2 billion Euro. 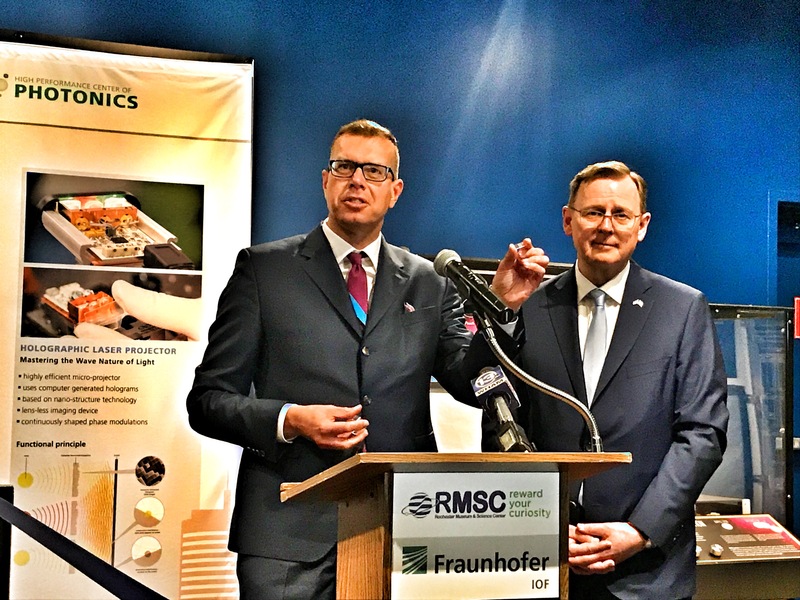 The New York Photonics cluster began developing a relationship with Fraunhofer IOF in 2014, while lobbying for the National Photonics Initiative and a national institute for photonics manufacturing. The following year a team led by New York State was awarded $110 million from the Department of Defense as part of the >$620 million AIM Photonics effort for developing America’s manufacturing capacity in integrated photonics. 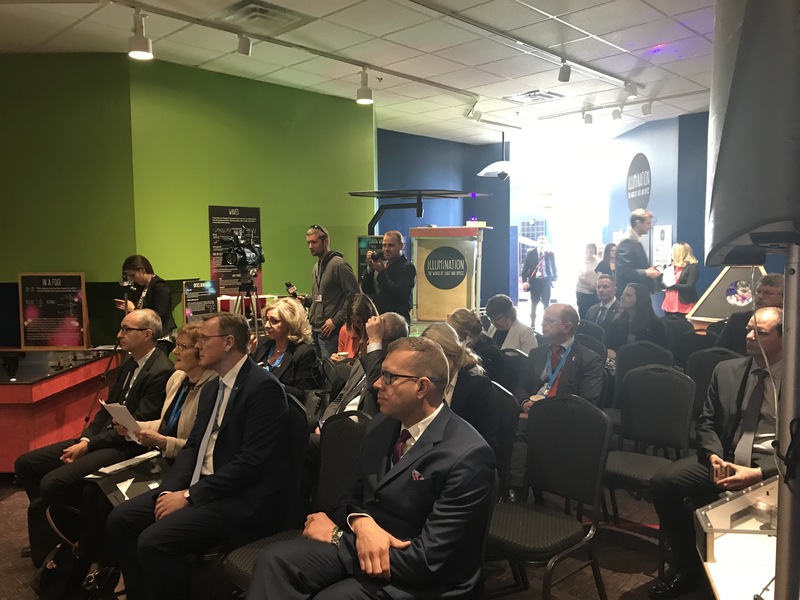 On Sunday night Prime Minister Ramelow hosted a dinner and reception in Rochester with faculty from University of Rochester, Rochester Institute of Technology and Tom Battley, Executive Director of New York Photonics. The delegation and attendees at the RMSC presentation ceremony, bathed in light.